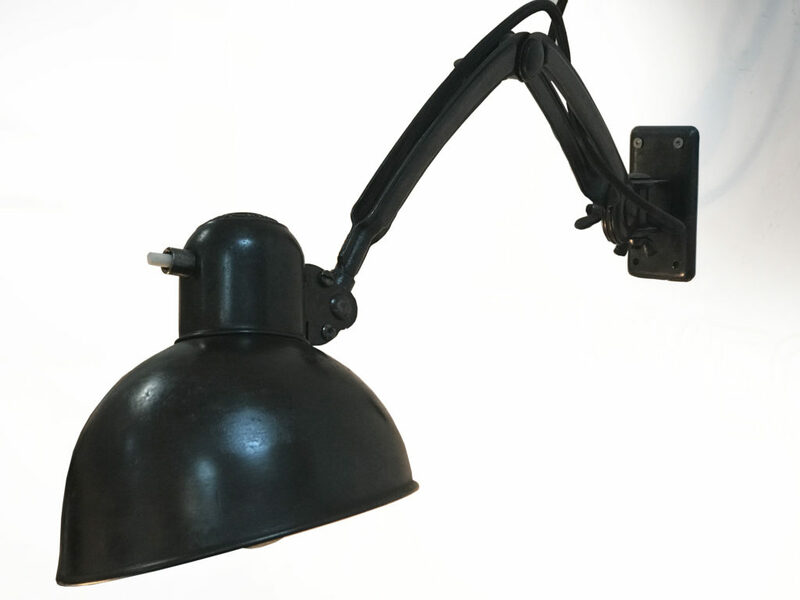 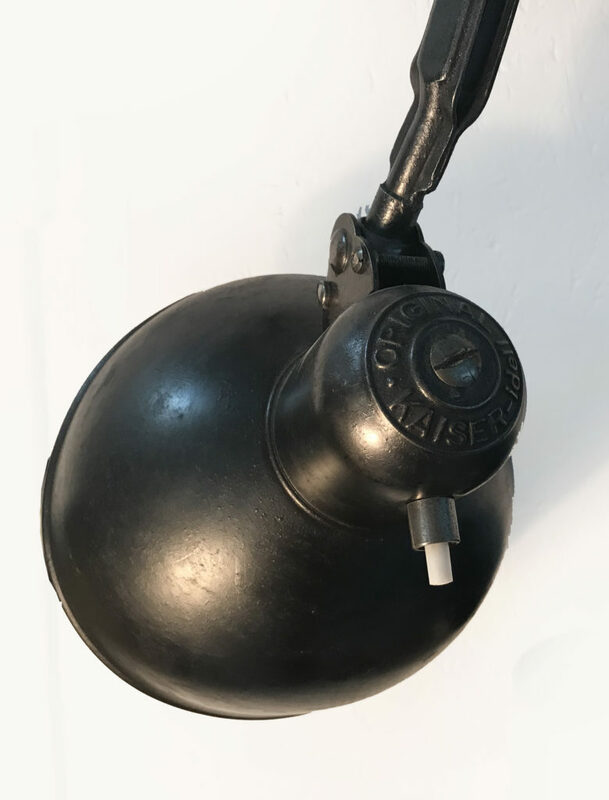 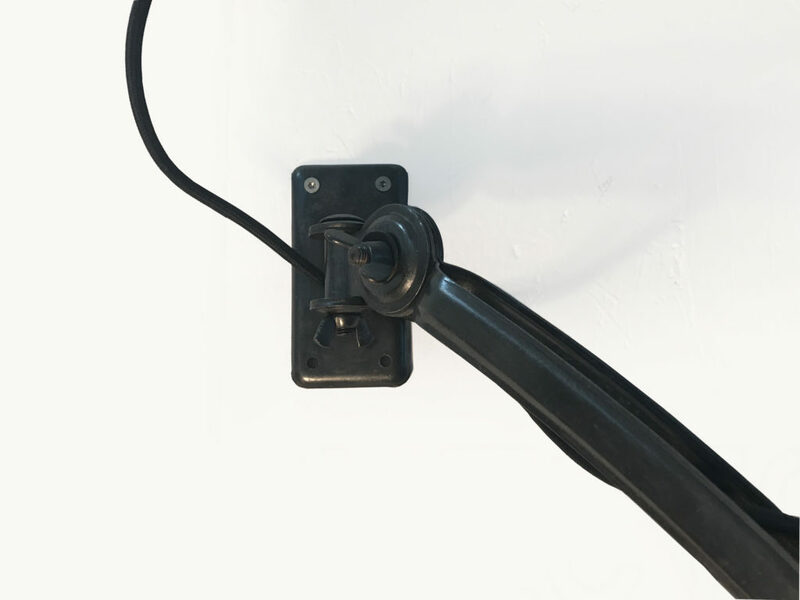 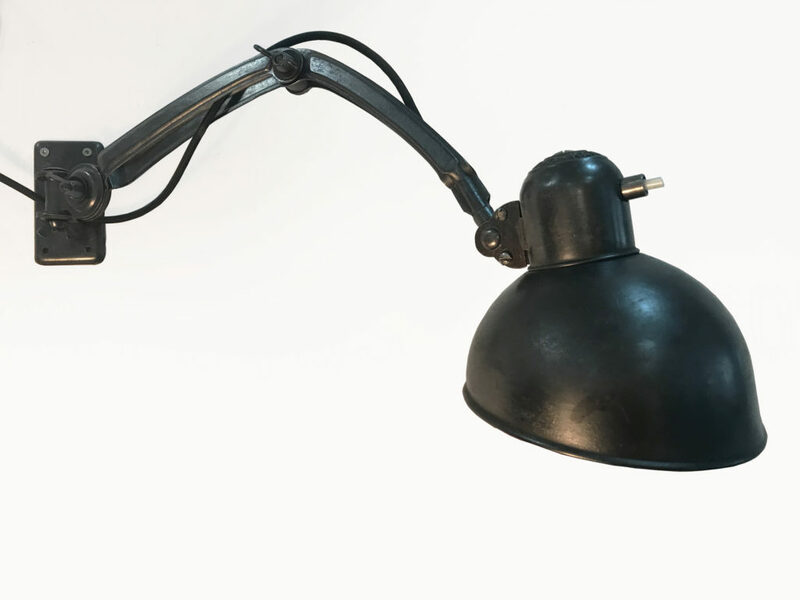 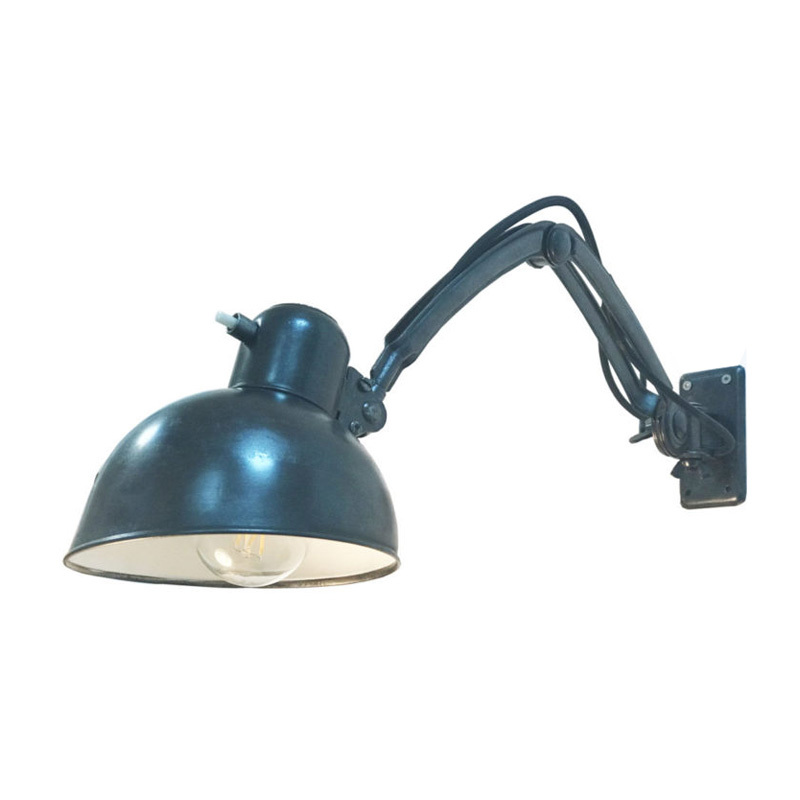 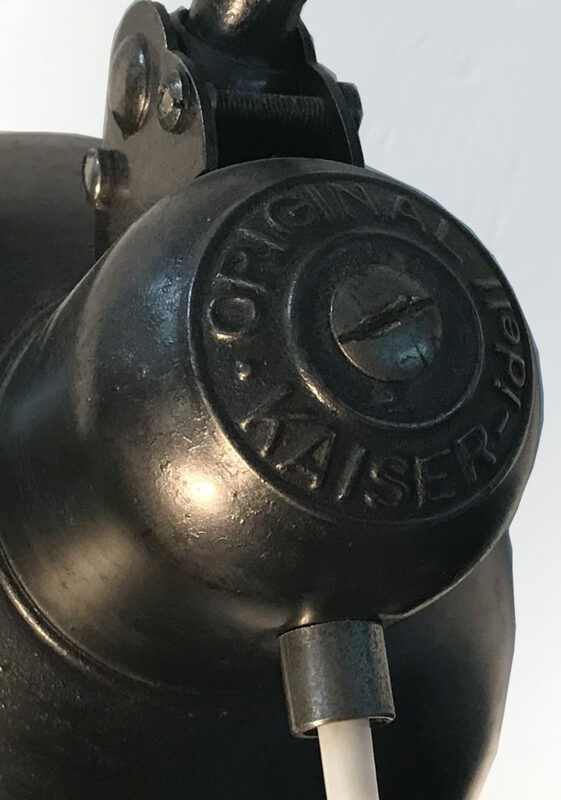 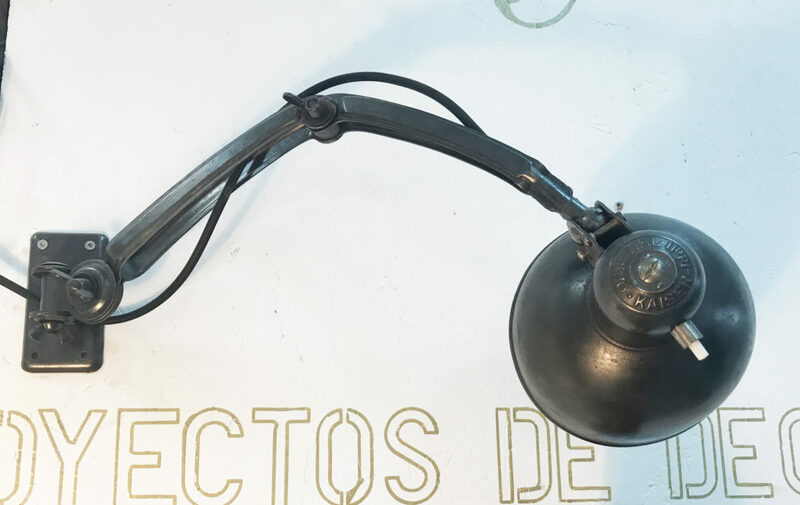 This Wall-mounted reading or working lamp was designed by Khristian Dell in the 1930s, for Kaiser Idell, in Germany. 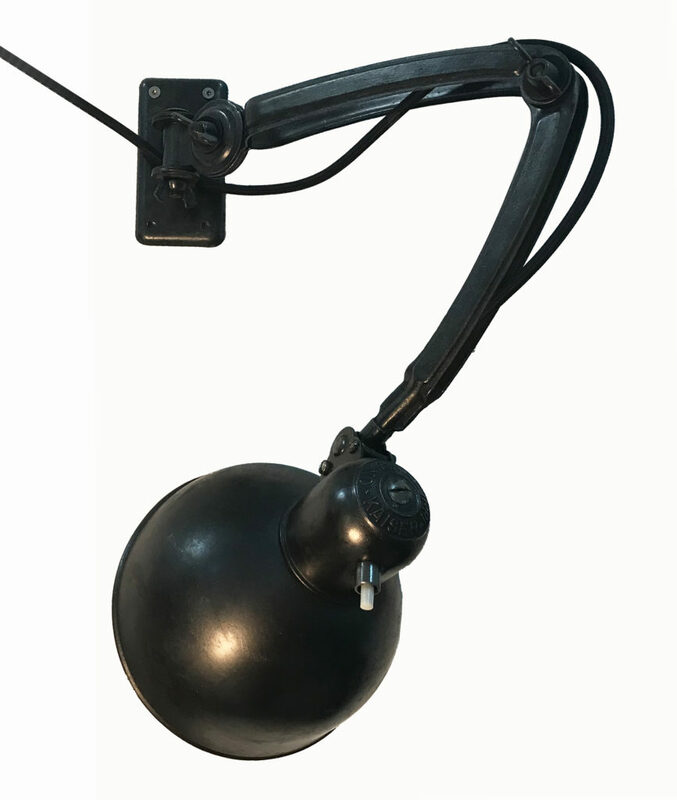 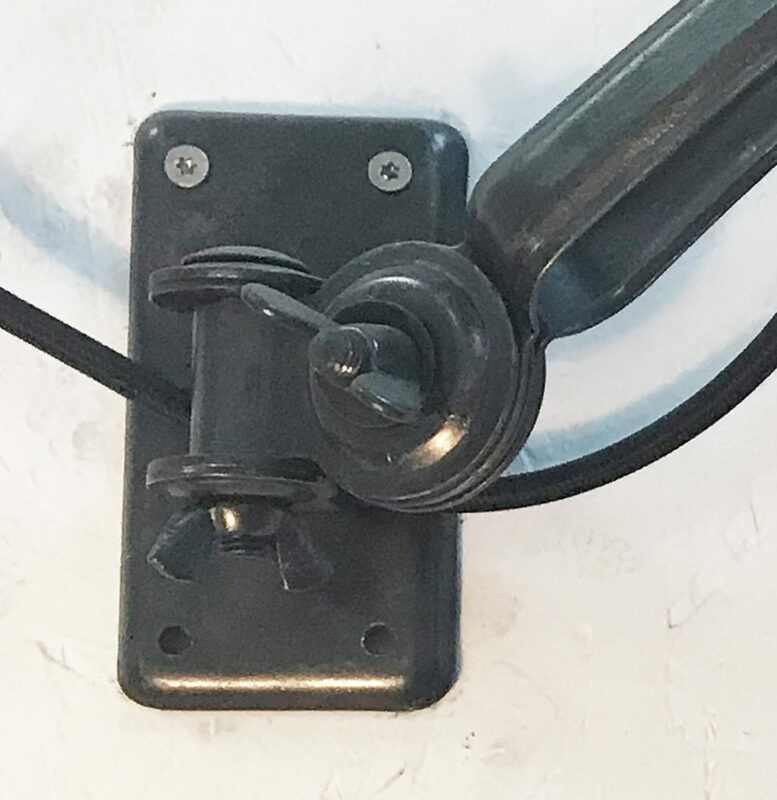 It has two arms intersected and adjustable. 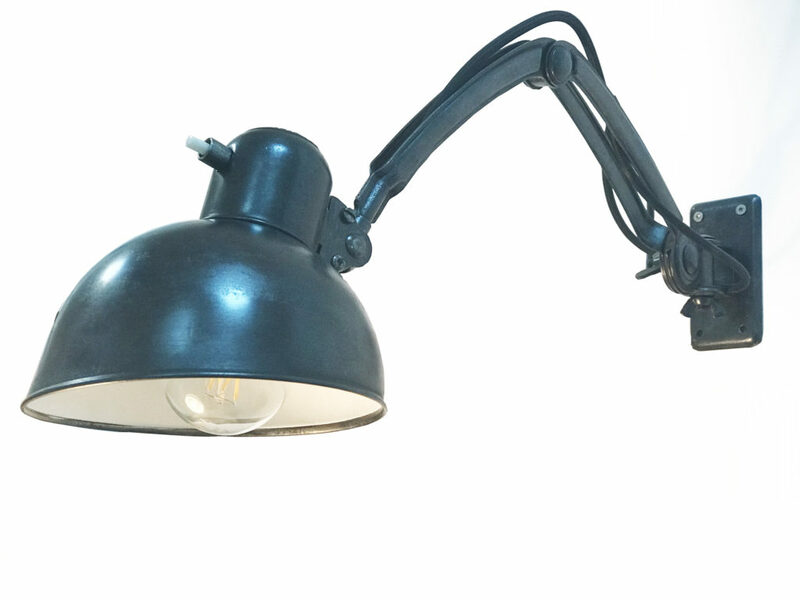 It rotates from the wall from left to right and the shade also turns up and down. 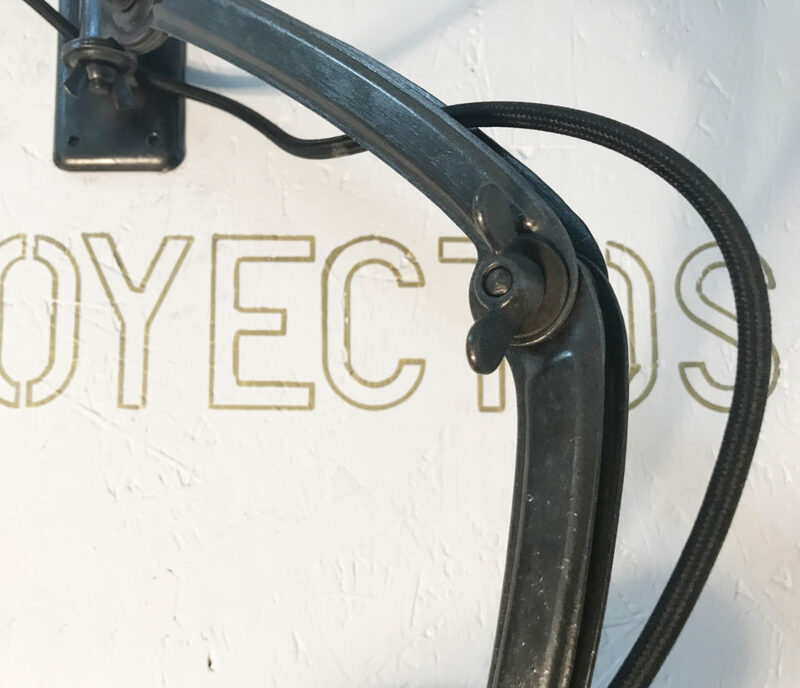 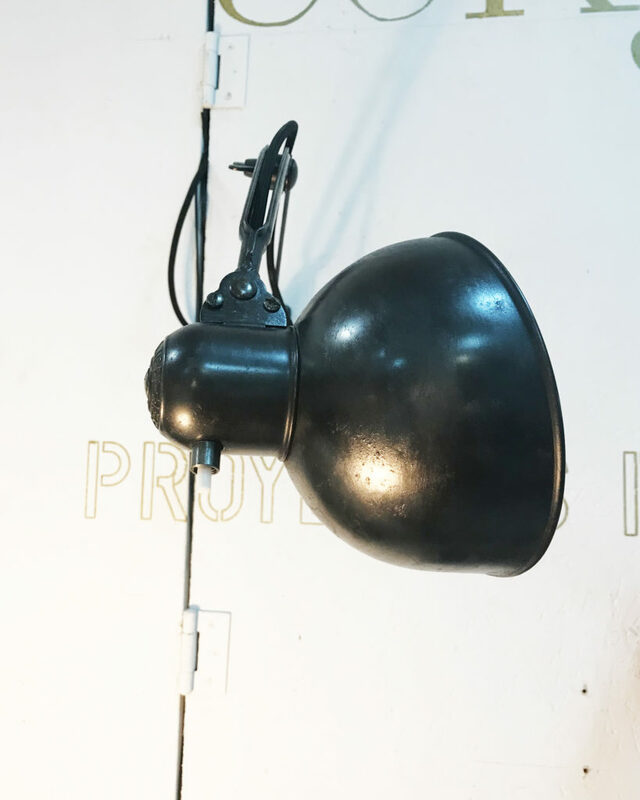 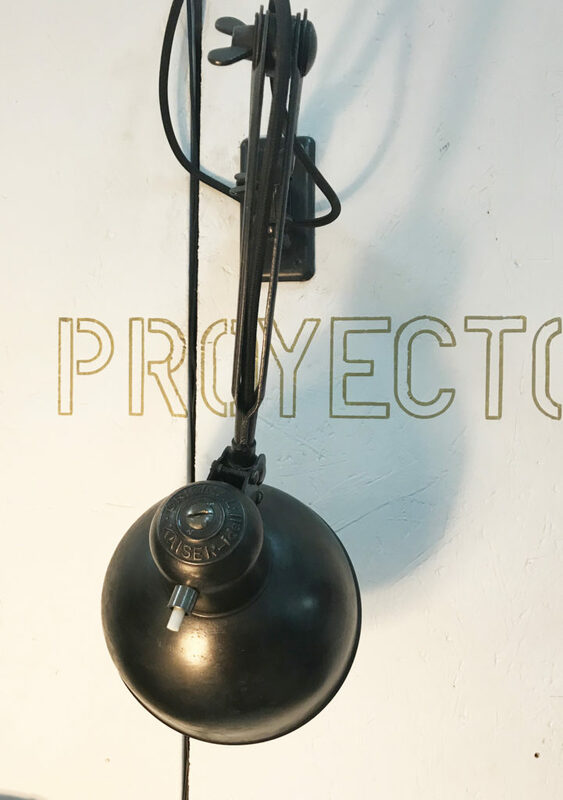 The lamp has been fully restored, giving it a more Industrial look by leaving the iron in natural and protected with black wax, it has been rewired with black fabric wire and the bulb holder is the original one.